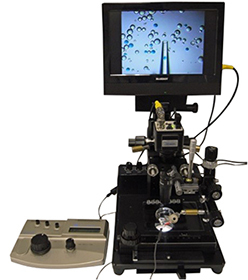 The PicoPipet is an electronic ultra-small-pipetting device that has an electroosmotic pump in its pipette part. 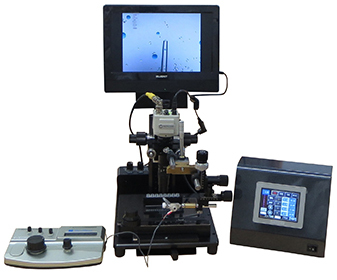 The special pump can easily control microfluidic flows without pulsation. 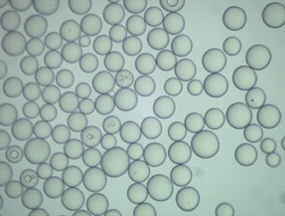 The weight of the pipette part is just 10 g, and that enables precise manipulations. - Smooth suction, hold and discharge are possible by simple rotating operations. - The flow rate is 1 nl/min - 5 ul/min. - A replaceable glass micropipette is connected to the tip of the pipette part. The PicoPipet holder is for holding the pipette part and being attached to a manipulator. 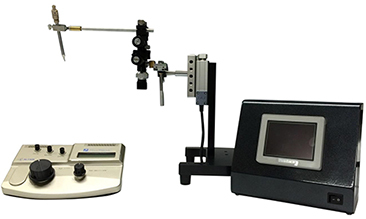 The light weight helps precise manipulations by a manipulator. The position of the pipette part can be flexible because the angle of holding the pipette part can be changed freely. There are three different holder lentghs; 40 mm, 80 mm, and 150 mm. 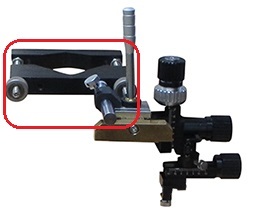 The 15 mm version has a clamp for fixing the holder to a manipulator. The Compass is a video microscope that works by a unique pattern-projection method. 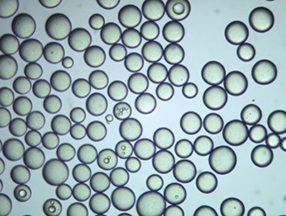 The images of transmissive objects like cells can be high-contrast and 3D-shape views under the simple optical system. 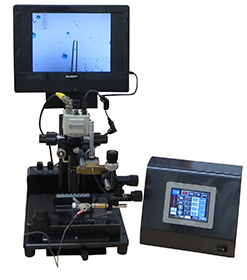 With the PicoPipet, you can conveniently transfer a cell from one container to another while monitoring the process on the screen. 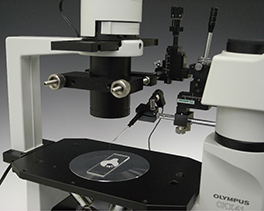 The total mafnification is 52x-425x (similar to microscope objective 20x). 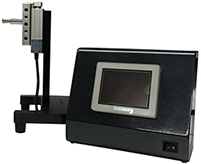 See the video of the Compass Z.
Zrobo is a device that controls z-axis movements of the PicoPipet pipette part automatically. A manipulator can be attached to the horizontal bar of the Z robo. 4 different heights can be saved and recalled by touching the buttons on the control panel. During the use of the PicoPipet, the pipette part need to be moved to fixed heights repeatedly. The Zrobo is used to significantly reduce this troublesome manual-z-axis work. The customers who already have the MPP-200A/200B/100 can add the Zrobo to their system and combine the Zrobo with it. See the video of the Zrobo. 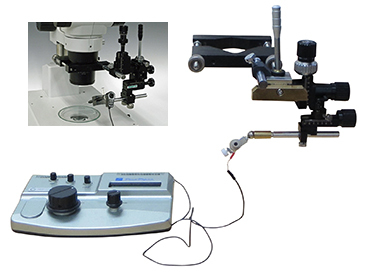 The joystick manipulator is a manual control micromanipulator that has a joystick bar to intuitively operate the PicoPipet pipette part at XY axis. 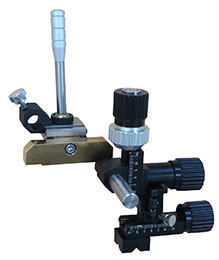 The brass bracket part enables the manipulator shape to be flexibly changed according to the microscope environment. 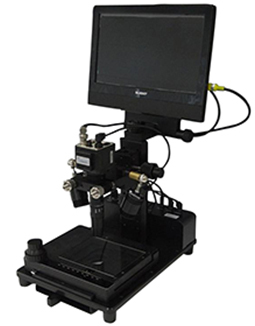 This includes a clamp that can fix the joystick manipulator on the lens/condenser of user's microscope like the picture below. The available outer diameter of the lens/condenser is 40-70 mm. Compared with the magnetic stand kit (the next item), it saves space and allows easy setting up. 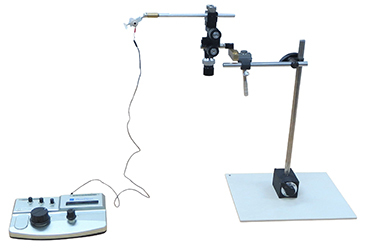 This includes poles, a magnetic stand and an iron mat that are for the use of the joystick manipulator with user's microscope. 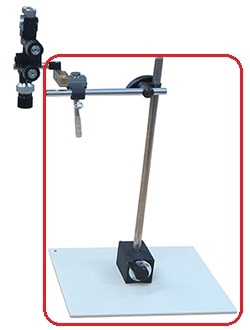 Compared with the lens/condenser mounting clamp, the manipulator can be positioned flexibly. 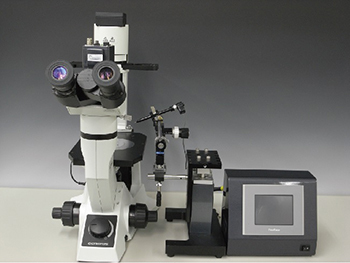 A place for the iron mat (250 mm x 200 mm) is needed next to the microscope.